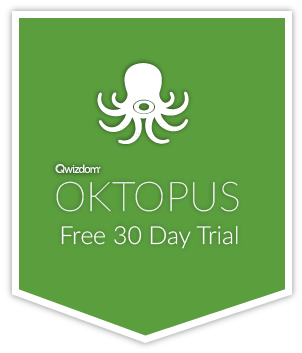 OKTOPUS has over 70 individual subject specific learning tools for Drawing, Mathematics, Literacy, Geography and Science. OKTOPUS contains all the annotation tools you need including a pen (with handwriting recognition), highlighter, eraser, shapes, flashlight, window shade, magnifying tool and line tool. Enter the media gallery and choose from hundreds of images and. Glass Mode allows you to draw over documents or browser content with ease. Capture screen images, and record audio and video files. Clear the entire screen, annotations only, or reset the slide to how it was when the file was first opened. Our on-screen keyboard will also type directly into other applications such as Microsoft PowerPoint, Word & Excel. Perform calculations using our drag-and-drop sum builder, use the abacus, or create number lines and grids. Measure lines, convert values, work out angles or determine the workings of a circle. Create and explore prisms, pyramids and nets, and explore various shapes and their angles. Teach statistics using the probability spinner and dice, and keep track of information in tables and visualise values by drawing a variety of graphs in both 2D and 3D. Further engage your students with 6 Maths games including Sudoku, Target 24, Memory, and Speedy Sums. Literacy Games turn your classroom into a vibrant and interactive learning zone. Explore the wonderful world of words with some great games like the Word Builder, Word Hunt, Mix Up, and Word Scramble. Create words and sentences in fridge-magnet style with our Word & Sentence Builder, and explore the meaning of words with the Word Roots tool. Test your students’ comprehension skills with the Word Vault. Hide words in the Vault to be dragged back into their correct places and add your own words to gauge your students’ understanding. Select a map from our unique map tool or integrated Google Maps tool and explore countries, borders, and boundaries of any location in the world. Explain weather patterns with nearly 30 individual weather symbols and convert Celsius and Fahrenheit with the interactive thermometer. Delve into the elements with our interactive Periodic Table. Highlight groups like Solids, Metals, Nobel Gases, Radio Active and more at the tap of a button. Tap an element to reveal a visual of the atom and the outer electron shell as well as links to a wiki page. View information on reactions, compounds, state, structure, colour, melting point, boiling point, period, and group. Build your own molecules using the Molecular Structure tool, design hierarchial pyramids, and illustrate the components of an electric circuit with the Circuit Builder.